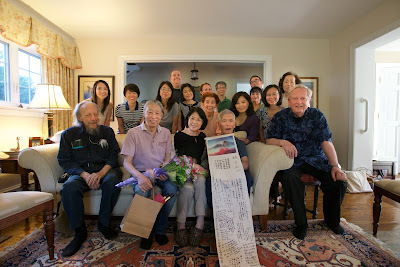 Ken's chorus group got together yesterday at our house for a wonderful good bye send off to their long time conductor Hayashi San and his wonderful wife Rumiko San. They are headed back to Tokyo after about 30 years here in the United States. They will be sorely missed.